Kylie Galen wants the truth so badly she can taste it. The truth about who her real family is, the truth about which boy she’s meant to be with - and the truth about what her emerging powers mean. But she's about to discover that some secrets can change your life forever… and not always for the better. Just when she and Lucas are finally getting close, she learns that his pack has forbidden them from being together. Was it a mistake to pick him over Derek? And it’s not just romance troubling Kylie. An amnesia-stricken ghost is haunting her, delivering the frightful warning, someone lives and someone dies. In C.C. 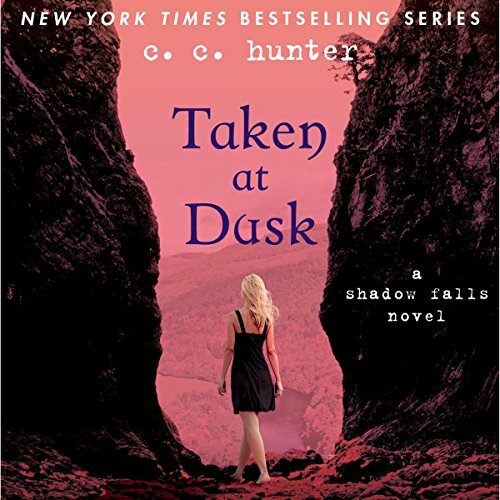 Hunter's Taken at Dusk, Kylie races to unravel the mystery and protect those she loves, finally unlocking the truth about her supernatural identity, which is far different - and more astonishing - than she ever imagined. Throughout the entire book you're on your toes waiting and listening in suspense! It's wonderful. unique new spin on supernatural creatures. I'm enjoying this unique new spin on the world of supernatural creatures seen through the eyes of teens. I can't wait to listen to the next one. I really enjoyed the vocal performance especially the expression in the character Della. I laughed out loud at the sarcasm so evident in every line. Kileys story is my favorite from CC HUNTER. If your having any doubts about this series then don’t I promise it’s worth the read. Love this series this book was a little slow but still enjoyed it ! Can't wait to start the next one we finally know what she is !! I really enjoyed this book. I was so captivated by it, I couldn't stop listening. Narrator was awesome, definitely cliff hanger moments. I can't wait to listen to the rest. While I feel like this author is dragging the story out for sales, it's still not a horrible series. I've definitely read worse writing and like the feeling of mystery that this book gives me. Also great for old school Twilight fans to have a new set of boys to debate who is best. Don't mind the series but it's definitely not that fantastic. This series just keeps getting better and better I'm excited for the next book which I have purchased.